Metaphorically, I often stand in the hallway between the roles and relationships and activities of people’s lives, observing and having lots of conversations as people move between the rooms of their lives. As a congregational consultant and a mental health counselor, I not only stand outside the rooms that represent the roles and relationships of people’s lives, but I metaphorically invite my clients to stand out here with me for a few moments. I peer with them into the rooms of their lives and share the curious eye of an outside observer. 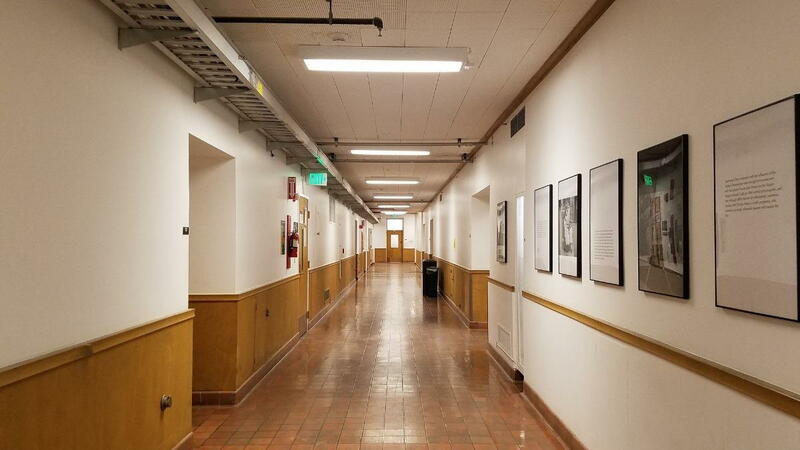 There’s a lot to learn in this hallway about self, others, and the institutions and organizations in which we participate. Sometimes other people stand out in this hallway with me, but when others look into the same rooms I just peeked into, they often observe different things. I learn a lot by hearing someone else’s impressions. The way people observe the scenes and happenings of life stem from their social location and their formal and informal educational influences. It’s a complex mix. These hallway conversations are part of my informal education, but how I have these conversations comes largely from my own education and social location. From an educational perspective, a mix of theories inform my work including: family and congregational systems theories; person-centered models; mindfulness teachings and practices; and a variety of grief/loss models. Much of my systems work comes out of Bowen family systems and the teachings of Edwin Friedman. These theories are crucially important and have changed my own life and the lives of those I’ve worked with in positive ways over the past 25 years. But let’s face it, Murray Bowen and Edwin Friedman were both white males, born and raised in the 1930s in the United States. Their worldviews bring limitations to their theories as everyone’s worldview does. Some of those limitations center on a lack of awareness and sensitivity based on cultural, racial and gender diversity. The theories are too profound and important to set aside entirely, but it is essential to add some perspectives and tools to make the theories more relevant and nuanced in a diverse world. The way I use, develop, combine and pass on these theories is shaped by my social location, past and present. My own worldview has valuable pieces of truth to add, but it too has its limitations, which is why I’m always trying to listen to and learn from others. I grew up in a white middle class household in a predominately white neighborhood, though my family had close friendships with two inter-racial families. Education was very important in my family. My father, a university professor, has a doctoral degree. My mother earned a master’s degree while raising three children. I was raised on the progressive side of Catholicism and became a Unitarian Universalist as an adult. I am an ordained clergyperson. I am a heterosexual, cis-gender female, married to a French Canadian. I have two adult sons from a previous marriage. My own cultural backgrounds of Italian on my father’s side and French Canadian on my mother’s side have both complemented each other and clashed with each other in ways that have shaped my personality and approach to relationships. My views have also been shaped by my lifelong interspecies relationships with dogs. Though I did spend some time as a single mother, I always had my basic needs met and had the assurance of extended family support. My experience is not comparable to people who come out of poverty and try to make ends meet. Professionally I have served as a pastor of congregations and a hospital and hospice chaplain. I currently work as a mental health counselor, a pastoral counselor, a congregational consultant and a business owner. When you read my future blogs on family and organizational systems concepts and tools, I welcome you to engage in the conversation by adding your own understandings and perceptions. What rings true? What misses the point as you engage the world from your own background, values and culture? Understanding relational dynamics and seeing the world from multiple perspectives can benefit your personal and professional life whether you are a clergyperson, a congregant, a therapist, a business person, or if you are just interacting with your own family.